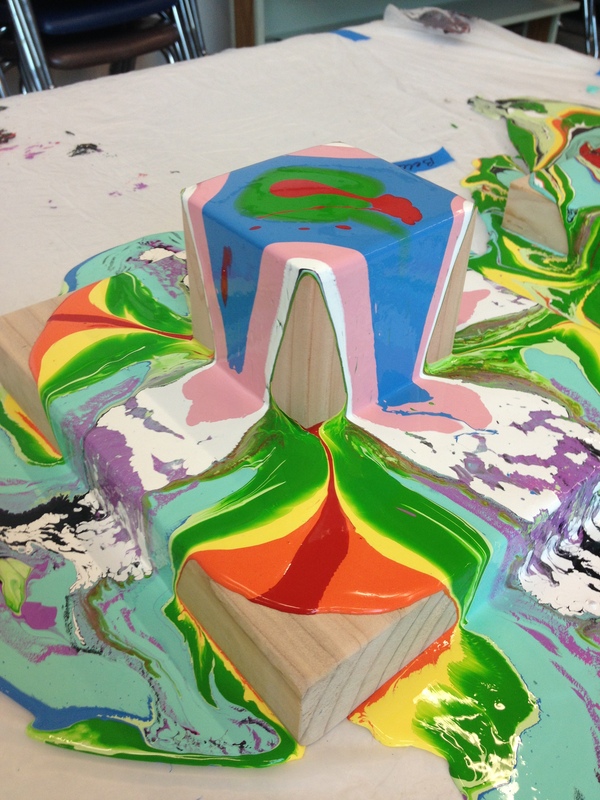 Each student was given a wooden structure and cups of paint in a rainbow of colors to choose from. 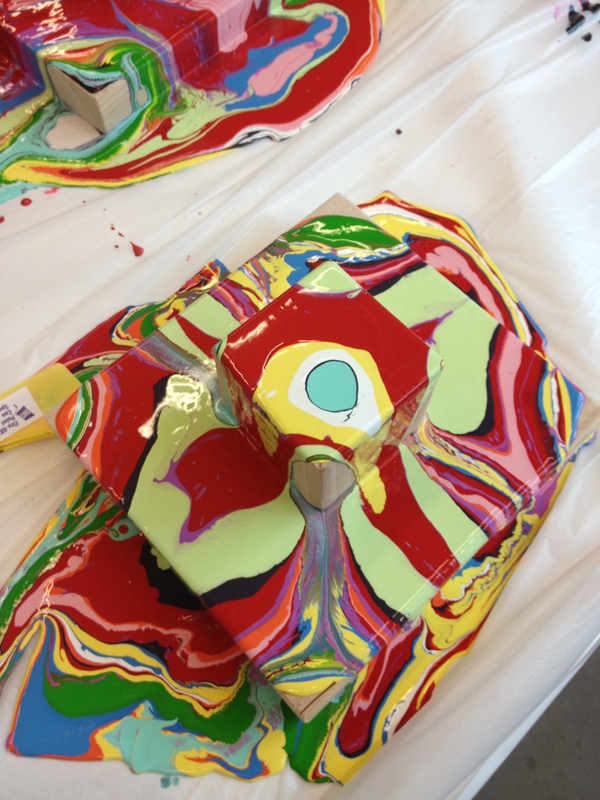 After learning about Holton Rower and watching a video of the artist and his assistants in the studio, the children were instructed to think about color patterns and combinations – and how they might plan to use the color spectrum to make color rhythms and bring harmony to their work. 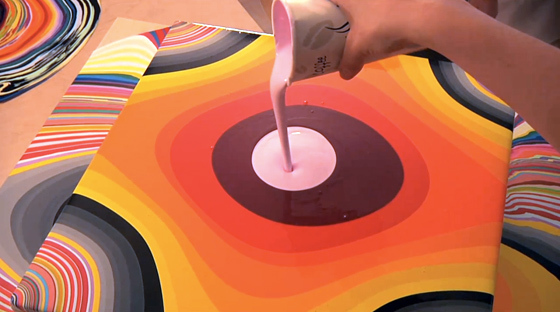 Then, they were set loose to begin pouring paint! The most wonderful things happened! #1 they didn’t get paint on their clothing or the floor! #2 they had fun! 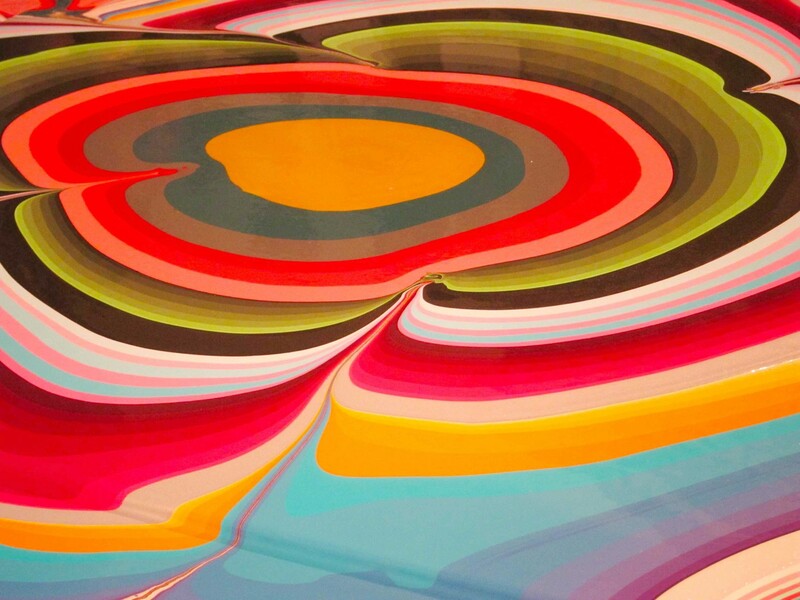 Born in 1962, Holton Rower lives and works in New York. 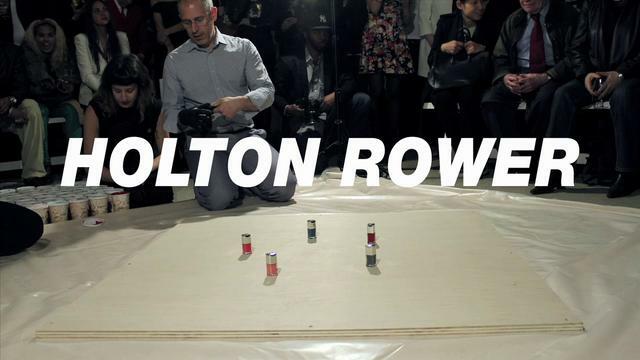 He is the grandson of Alexander Calder and does not keep his artistic heritage a secret. He is a self-taught artist who never received any formal training. Known for his hypnotic ʻpour paintingsʼ, the artist’s use of paints is as interesting as the kaleidoscope of colors they create. Rower seems to play a game of chance when he paints. 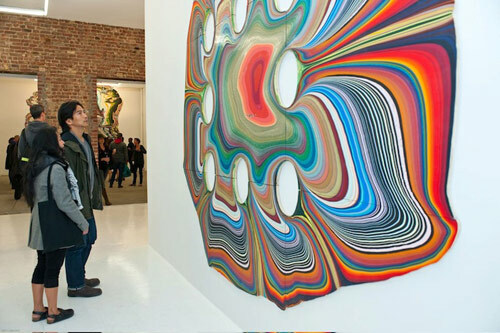 The incredible color combinations he creates leaves an element of his work to the effects of gravity. 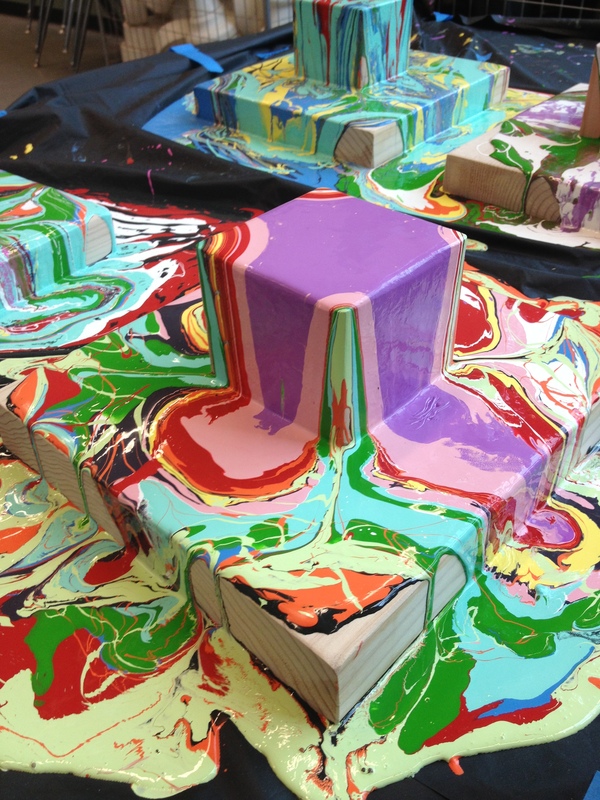 You can see the artist’s pour painting here: http://www.youtube.com/watch?v=d6egUsZvWu4) Thank you to Home Depot, who cut 70 pieces of wood for us, Glidden Paint who donated 57 gallons of paint to this project and both starbucks and Panera for giving us over 500 4oz cups to contain small portions of paint. ← The most fun. Ever!